The tutorial reviews present the contents in lucid presentations and include comparatively more graphics for better understanding of the field to novice readers. Tutorial reviews are important source to cover and understand the research advances for the benefit and information updates of novice readers of respective scientific field. The research is advancing at a fast pace in field of nanoscience, nanotechnology and nanomaterials; and require a frequent updating the readers about the progress in the field particularly the new learners and readers. 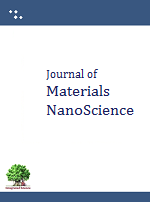 The Journal of Materials Nanoscience publishes tutorial review besides the regular review articles to provide a comprehensive coverage of nanoscience and nanomaterials advances. The community members, researcher, teachers are invited to compile and submit the tutorial reviews for information updates to students. The template for tutorial reviews is same as that of article for journal as provided on above link.